LEXINGTON, Ky. (Wednesday, May 27, 2015) – The National Thoroughbred Racing Association (NTRA) announced today that Monmouth Park has earned reaccreditation from the NTRA Safety & Integrity Alliance. Home to 17 graded stakes – including the $1 million Haskell Invitational and the $500,000 United Nations Stakes – the Oceanport, N.J., track opened its 70th live racing season earlier this month. Monmouth Park was among the first racetracks to be fully accredited shortly after the Alliance’s inception in 2009 and has maintained that designation continuously since. Among the areas that stood out to the four-person Alliance inspection team was Monmouth Park’s commitment to providing support to its backstretch community for a wide range of issues. The Backstretch Community Assistance Program (BCAP), which operates at all New Jersey racetracks, was founded as a substance abuse program but has evolved into a support system for all types of health issues, as well as a community center with educational programs. Today any licensed stable hand, groom, hot walker or exercise rider in New Jersey has access to free services from roundtrip grocery store shuttles to screenings for diabetes, cholesterol, blood pressure, glucose and forms of cancer. The recreation hall at Monmouth Park offers English as a Second Language courses and houses a media center open nightly so laptops can be borrowed for conversations with family via Skype. There’s even regular First Aid and CPR training. The trust and rapport that Samaha has built over two decades has become one of the BCAP’s most vital assets. Workers that have seen their friends make use of BCAP’s substance abuse programs over the years know that seeking help isn’t risking their livelihood. Last year, Samaha saw 132 clients for various forms of counseling. Samaha is available for sessions relating to drug and alcohol problems, anxiety, stress or depression. “Anything that’s beyond the scope of what I can offer on-site I coordinate with outside agencies, whether for extended inpatient or outpatient care,” he said. Meanwhile, nearly 200 individuals took advantage of a pilot health clinic over just 10 weeks in 2014. The Ph.D. residency program, contracted through Rutgers University, is expected to service even more members of the backstretch community as it expands to 17 weeks this year. In the final accreditation report, Monmouth Park was commended not only for a “Best Practice” rating in substance abuse and addiction programs but also for exceeding the Alliance code of standards in the following areas: (i) pre-race veterinary examination protocols; post-race veterinary examination protocols; (ii) substance abuse and addiction programs; (iii) catastrophic injury planning and procedures; (iv) infectious disease management; (v) paddock safety; (vi) fire safety planning and procedures; (vii) veterinary presence during training hours; (viii) regulatory veterinary practices and procedures; (ix) out-of-competition testing program; (x) maintenance of jockey health information; (xi) ambulance support and medical care; and (xii) medication and testing education. The reaccreditation of Monmouth Park was the culmination of a lengthy process that began with the track’s completion of a 48-page written application and continued as Monmouth Park hosted several meetings with Alliance officials. An on-site review included inspections of all facets of the racing facility. Interviews were also conducted with track executives, racetrack personnel, jockeys, owners, trainers, stewards and fans. The inspection team was comprised of Dr. Ron Jensen, DVM, former equine medical director for the California Horse Racing Board; Mike Kilpack, security and integrity consultant and past chairman of the Organization of Racetrack Investigators; Richard Lewis, former trainer and Northern California racing executive; and Mike Ziegler, former executive director of the NTRA Safety & Integrity Alliance. Monmouth Park is one of 20 racing facilities currently fully accredited by the Alliance. The others are Aqueduct Racetrack, Belmont Park, Canterbury Park, Churchill Downs, Del Mar Thoroughbred Club, Finger Lakes Gaming & Racetrack, Golden Gate Fields, Gulfstream Park , Keeneland, Kentucky Downs, Laurel Park, Los Alamitos Race Course, Pimlico Race Course, Santa Anita Park, Saratoga Race Course, Suffolk Downs, Sunland Park, Turfway Park and Woodbine. 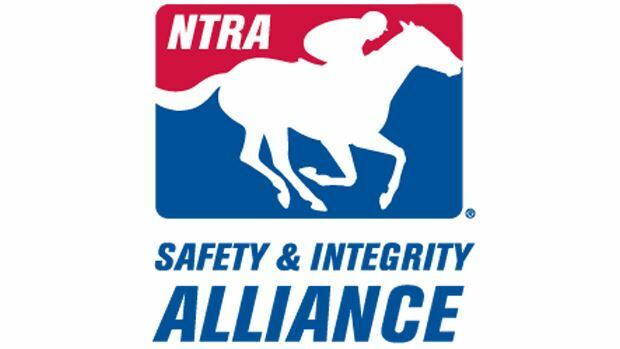 The NTRA Safety & Integrity Alliance is a standing organization whose purpose is to establish standards and practices to promote safety and integrity in horseracing and to secure their implementation. Information on the Alliance, including the Alliance Code of Standards, can be found at www.NTRAalliance.com.